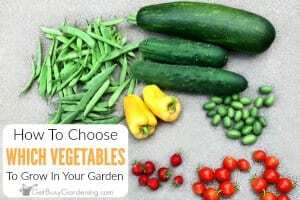 For the best success, it’s a good idea for beginners to start with easy vegetables to grow in a garden. 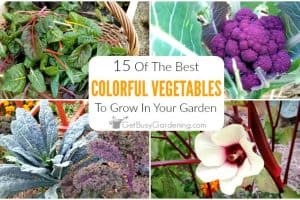 If you’re excited to try growing your own veggies for the first time, then this post is for you. 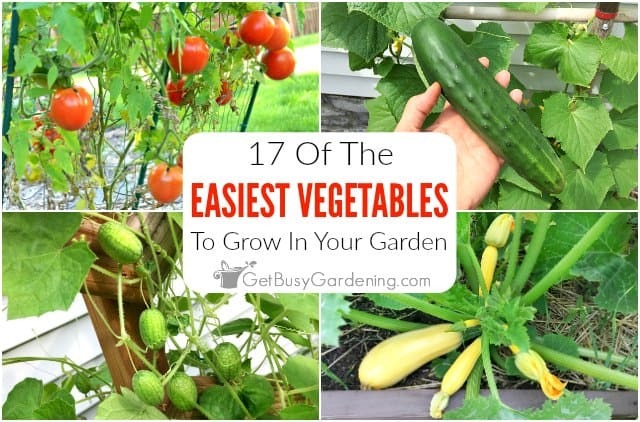 This list of easy-to-grow vegetables will have you harvesting your own food in no time! Growing your own food for the first time is exciting, but it can also be scary. So, for the best results, it’s always a good idea to start with easy vegetables to grow in pots or the garden. I’ve already shared my list of the easiest vegetables to grow from seed. But just because something made that list, doesn’t mean it’s also simple to care for and get a good harvest. 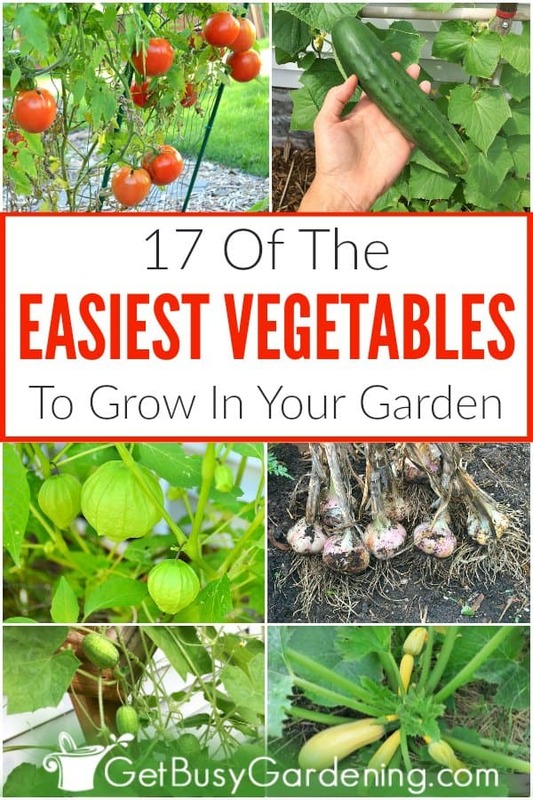 So in this post, I wanted to put together a list of easy-to-grow vegetables for beginners. These are low maintenance and prolific plants that will give first-time gardeners the best chance of success. What Makes These Easy-To-Grow Vegetables? 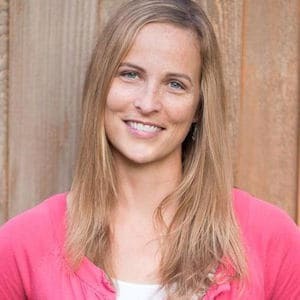 Before getting to the list of the easiest crops to grow, I wanted to explain how I chose them. I based my decision on experience, but also thought about a few other things. 1. Cucamelons – This one may be new to you, because they were just introduced a few years ago. 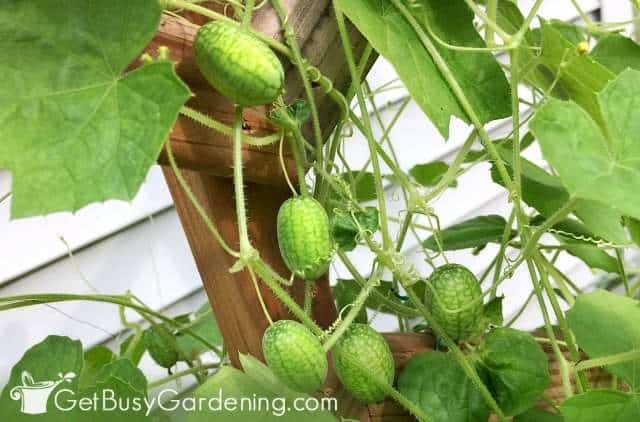 Cucamelons are super fun to grow, and kids love them! 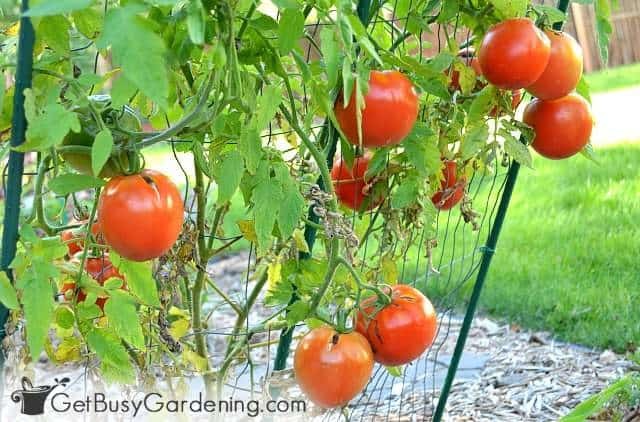 These easy vegetables grow quickly, and the vines will cover a trellis or fence. They do well in part-shade to full sun. Cucamelons produce a ton too. The fruits look like a tiny cucumber crossed with a watermelon (hence the name). 2. Beans – By far one of the easiest vegetables to grow, beans are the first veggie that many beginners start with. Most varieties grow very quickly, and they are prolific producers. Beans are so versatile, they come in bush varieties, which you can grow in pots, or as vines. Here are a few of my favorites… Kentucky Wonder pole, Blue Lake bush, and purple pole beans. 3. Cucumber – Not only are they super easy to grow, cucumbers are fast growing too. They traditionally grow on vines in the garden, but also come in bush varieties that can be planted in pots. You can put them in full sun, but they also do great in partial shade. 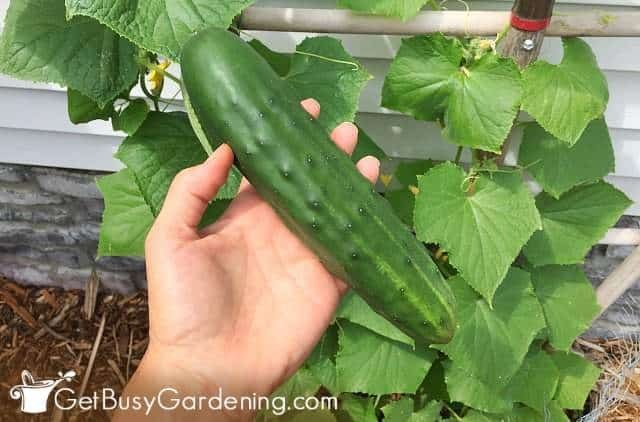 There are tons of fun varieties to choose from, but Homemade picklers and Marketmore are two types I grow every year. 4. Spinach – New gardeners sometimes struggle with spinach, and then think it’s difficult to grow. That’s because they’re doing it wrong. Spinach is very easy to grow, I promise! It just hates the heat, and despises being transplanted! Sow the seeds directly into the garden in very early spring in a shady spot. Once you get the hang of it, you’ll have an excellent harvest every time! Try this longer standing variety if yours tends to bolt too fast. 5. Radish – I used to struggle with growing radishes until I figured out what I was doing wrong… planting them too late! Radishes are another crop that hates being transplanted and loves the cold. 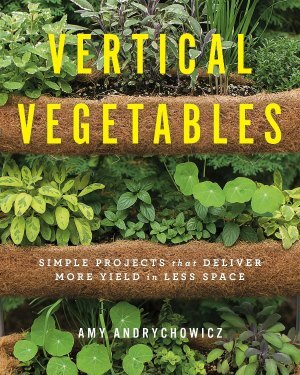 The secret to success with these easy-to-grow veggies? Plant the seeds directly into the garden as soon as the ground is workable in spring, and keep them out of the hot sun. I grow Cherry Belle and also white radishes every year, and sometimes watermelon radish for fun. 6.Tomatoes – Another popular choice for beginners, tomatoes are a must for most gardeners. Good thing the are easy vegetables to grow. 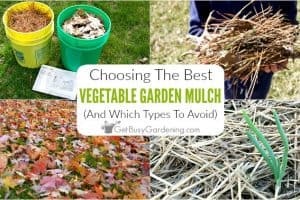 With all the different varieties, the hardest part will be choosing which ones to grow (or finding the space for them all!). Tomatoes can be planted in pots or in the garden, as long as they have full sun they’ll be happy. Here are a few of the types I grow (just in case you need help narrowing it down! )… Cherry tomatoes, Beefsteak and Brandywine. 7. Peas – Another cold-loving crop, peas grow best when direct-planted in early spring or fall. They do well in sun to partial shade, just keep them out of the hot sun. This easy-grow vegetable can be planted in pots or in the garden. Peas come in either a vining variety, or a non-vining bush variety. Sugar Daddy and Tendersweet are two of the best vining types, or try bush snow peas for your containers. 8. Peppers – The best part about peppers is that they don’t need a lot of space, and they do very well in pots or the garden. Some varieties are more difficult to grow than other, so stick with the common ones if you’re a beginner. The types I find easiest to grow are sweet bell peppers, jalapenos and cayenne hot peppers. 9. 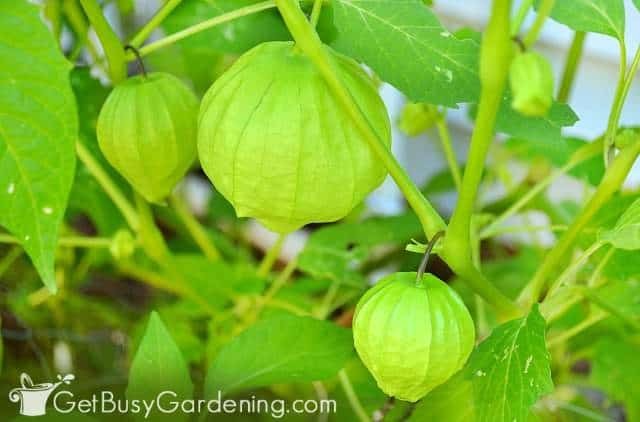 Tomatillo – This veggie may be new-to-you, but tomatillos are just as easy to grow as tomatoes (if you ask me, they’re even easier!). They have the same care requirements as tomatoes too, which is great if you’ve never tried growing them before. I like growing both the regular green tomatillos and purple tomatillos in my garden. 10. Lettuce – Not only is lettuce an easy garden vegetables to grow, anyone can find a spot for it. Lettuce doesn’t need much room. It can be tucked into any small space in the garden, and also does very well in pots. Lettuce is a cool season crop though, so plant it in early spring, or in the fall. A few of my favs that I grow every year are Valentine Mesclun, Romaine Rouge, and mesclun mix. 11. Turnip – It may sound like turnips would be hard to grow, but they’re not! Heck, they even plant themselves in my garden if I let them go to seed. Turnips prefer the cooler temps of spring and fall to grow their best, and don’t like to be transplanted. So be sure to plant turnip seeds directly into your garden in cool weather for best results. 12. Garlic – If you have a hard time growing garlic, then you’re probably planting it at the wrong time. 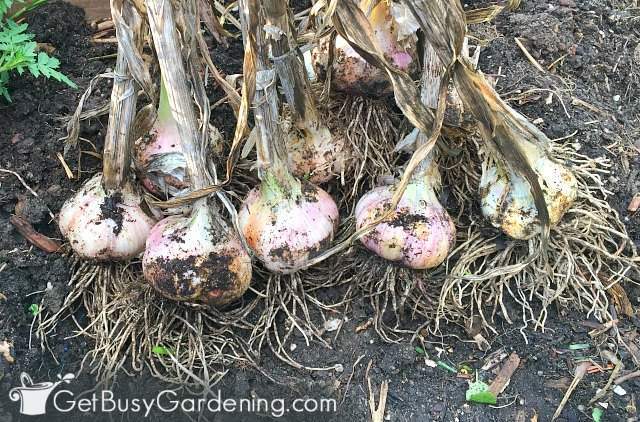 Unlike most vegetables, garlic needs to be planted in the fall. The best part about garlic is that, once you plant it, there’s no maintenance required. Heck, it even helps to deter pests from the garden. Learn how to plant garlic here. 13. Swiss chard – If you’ve never tried growing Swiss chard in your garden before, you definitely should. This easy-to-grow vegetable is both frost hardy and heat tolerant. It makes a great substitute for spinach in recipes, can be tossed into salads, and freezes well too. Swiss chard Bright Lights is gorgeous and delicious! 14. Onions – Some gardeners find it difficult to grow onions, but the trick is giving them plenty of sunlight. Give your onions full sun all day long, and you’ll have a wonderful crop to enjoy each summer. Onions are extremely low maintenance, and don’t usually have any pest issues (in fact, they deter many types of pests!). I grow yellow, white and red onions in my garden every summer. 15. Zucchini – Arguably the easiest vegetable to grow, zucchini is perfect for beginners. The biggest struggle you’ll probably have is an overabundance of zucchini. They’re so prolific, that you won’t be able to give it away by the end of summer. A good problem to have. 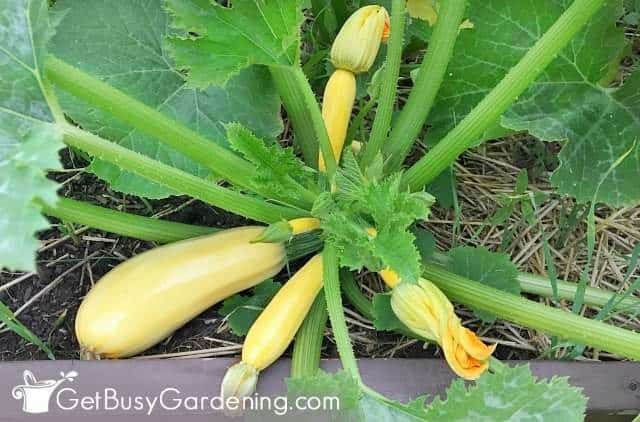 The two types I grow in my garden each year are yellow zucchini and green zucchini. 16. Kale – The thing I love the most about kale is that I can harvest it all summer, and well into the fall. It’s extremely cold hardy, and will survive long after the summer crops are done. Many gardeners struggle with cabbage worms feasting on their kale. But all you have to do is protect them with floating row covers, and that will fix the problem. Red Winter and Chinese Kale are two of my favorites. 17. Arugula – Arugula is another one of the easiest garden vegetables to grow. But some gardeners struggle with growing arugula because they’re doing it wrong. The trick is that arugula requires cool weather to grow it’s best, and it should never be transplanted. Plant the seeds directly in the garden as soon as possible in early spring (or in the fall in mild climates), and you’ll have a fantastic crop. Here’s the type I grow every year. When you start with the easiest vegetables to grow, you will have a much better first-time growing experience. Then once you get the hang of it, you can experiment with growing more difficult crops. Share your top picks for the easiest vegetables to grow in the comments below! Broccoli–We harvested all summer and fall with one sowing. After the central heads are gone, there were side shoots after side shoots. Even with a variety that said it’s only good for one single harvest–with no side shoot production! It’s our favorite veggie! Great addition to the list! Sometimes broccoli can be very easy to grow, and I love that you can harvest from it all season long with all those wonderful side shoots! Yum, arugula is one of my favorites too. And I agree, it’s SO easy to grow! KALE ! Eat More KALE! super easy to grow, all season harvest, very versatile, freezes well.